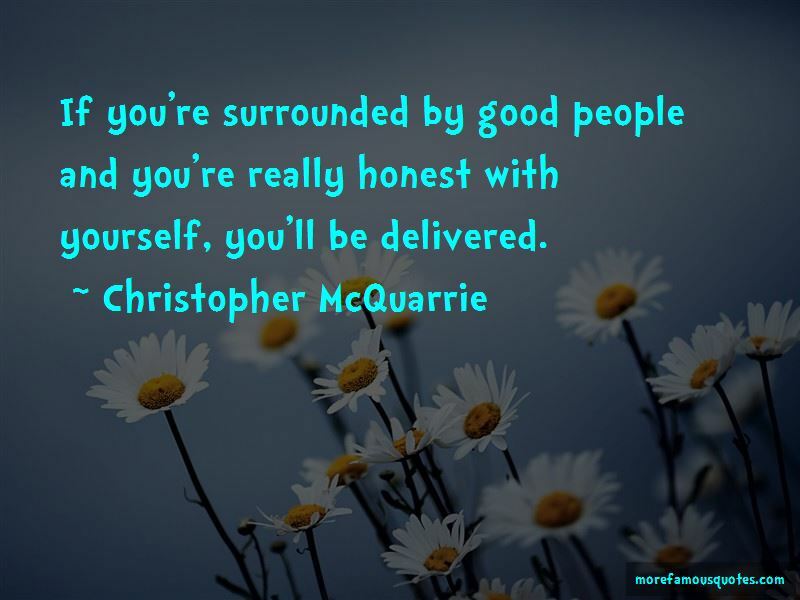 Enjoy the top 46 famous quotes, sayings and quotations by Christopher McQuarrie. I've always been fascinated with Navy SEALs in general and their role in Afghanistan in particular. I believe that as a writer and a director, you're only providing the skeleton of a character, and you're hiring actors to fill it out. I am not interested in telling you what to think. My job is to show you what I think. Period. Success is never bad in Hollywood. It is what you do with success that will dog you. I always feel like an outsider. I'll always feel like the nerd at the party. 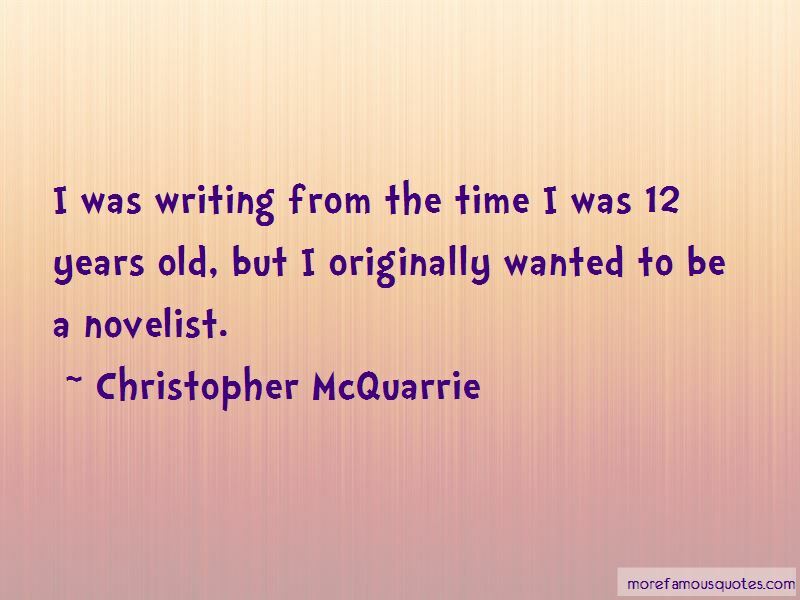 I was writing from the time I was 12 years old, but I originally wanted to be a novelist. Ideally, I'd like to have a movie that people like and makes money. 'The Way of the Gun' I wrote in five days. You've gotta understand: in July of '44, the Allies were still contained on the peninsula in western France and the destruction of Europe had not really begun. War had not really touched the European continent at that point. The one thing that frustrates me more than anything else is that no studio has ever told me to tone down violence. They only ask you to make it more presentable. The biggest challenge is not coming up with the stunt, the biggest challenge is designing a sequence around it that sort of justifies its existence. 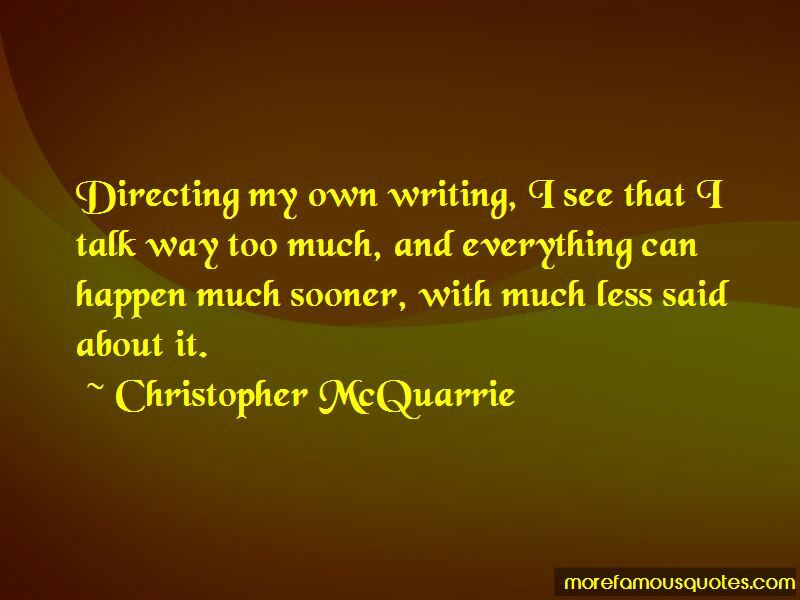 Want to see more pictures of Christopher McQuarrie quotes? 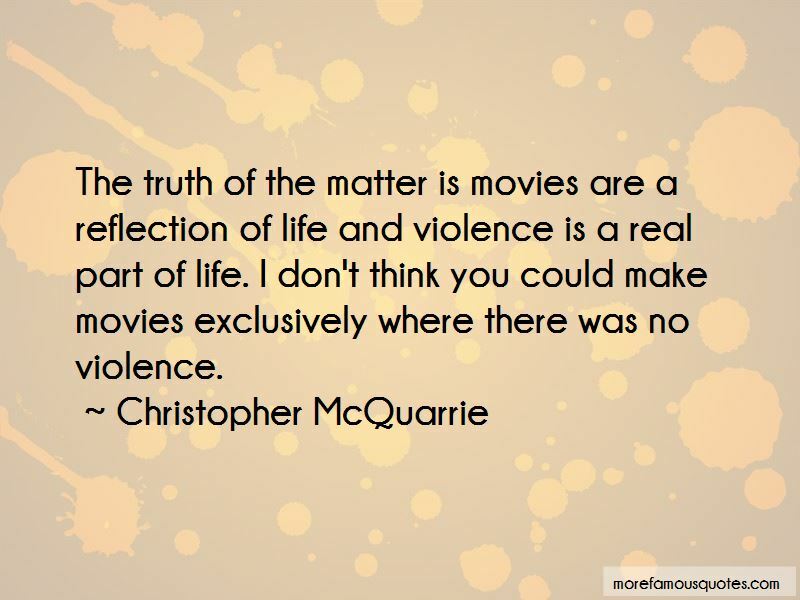 Click on image of Christopher McQuarrie quotes to view full size.